Lord Krishna is loved and worshiped across India, and in fact abroad for the qualities that are attributed to Krishna. At the simplest level, Krishna is protector and savior. At the most complex level, he is the epitome of unconditional love, oneness, as the only way to true happiness, self discovery and liberation. 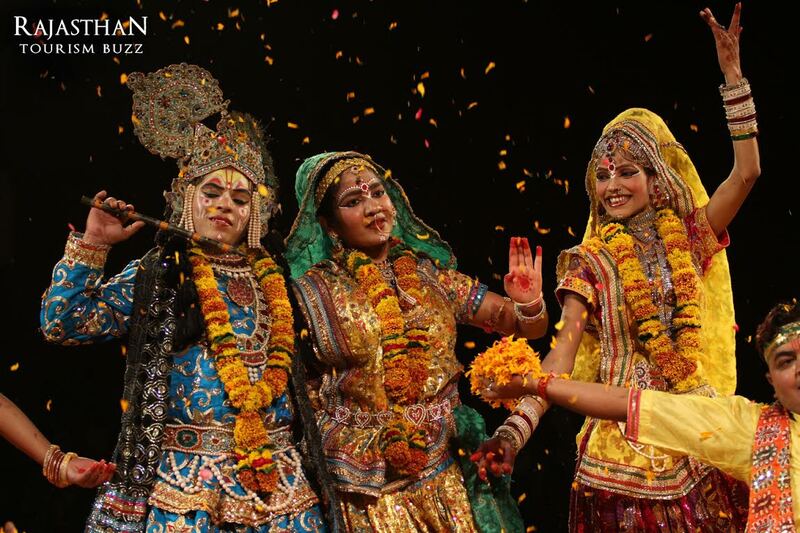 So the Krishna Janmashtami is celebrated with tremendous fervor, especially in Jaipur. 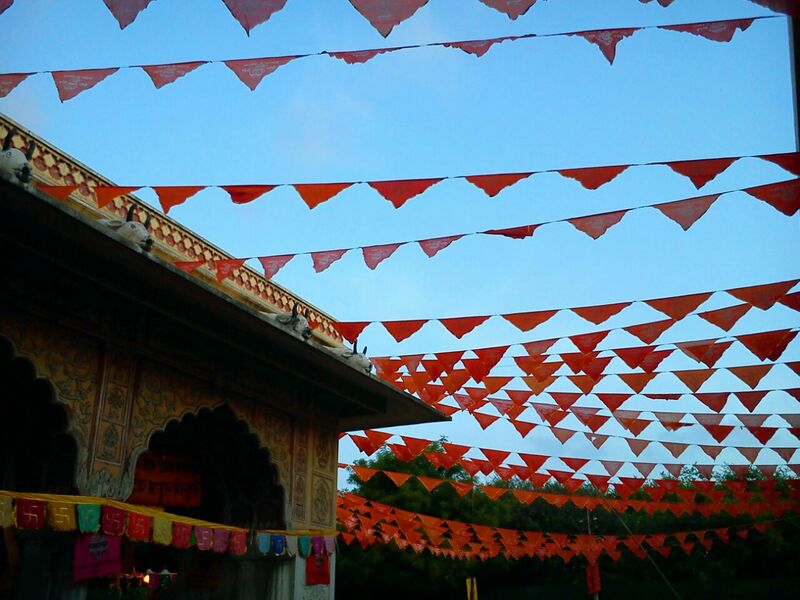 And the epicenter for these celebrations being Govind Devji Temple. With the melodious sounds of flute and bass of drums, Janmashtami festival brings the air of cheer and happiness in each Radha Krishna temple in Rajasthan. For the celebrations of Janmashtami i.e on Tuesday, August 15, 2017, the magnificently adorned idols of Radha Govind ji are placed in a specially decorated swing and the temples explode with colors and energy. In Jaipur, thousands of worshipers flock the temple and celebrate the festival with an outpouring of ecstatic music, dance and poetry in both classical and common languages amid the tranquil sounds of temple bells. The Govind Devji temple of Jaipur will follow new time schedule on 15th August, 2017. According to this Gwal Jhanki will be open at 5.45 pm, Sandhya Jhanki at 6.30 pm and Shayan Jhanki at 9.30 pm. Revel in the festivities of Janmashtami at Govind Devji temple in the City Palace of Jaipur where adorned markets, decorated temple compound, beauty of performances, devotion of people and sight of Murli Manohar Lord Krishna will steal your heart. Celebrate The Joyous Occasion of Krishnashtami Today! With the hymns and chants of “Hathi ghoda palki, jai kanhaiya lal” coming from deep inside the hearts, the devotees of Lord Krishna celebrate his birthday today. Though the celebrations start with the blissful sunrise but the enjoyment accentuates towards the end of the day, as he is actually said to be born at 12 in the midnight and illuminate his presence to bless his followers. 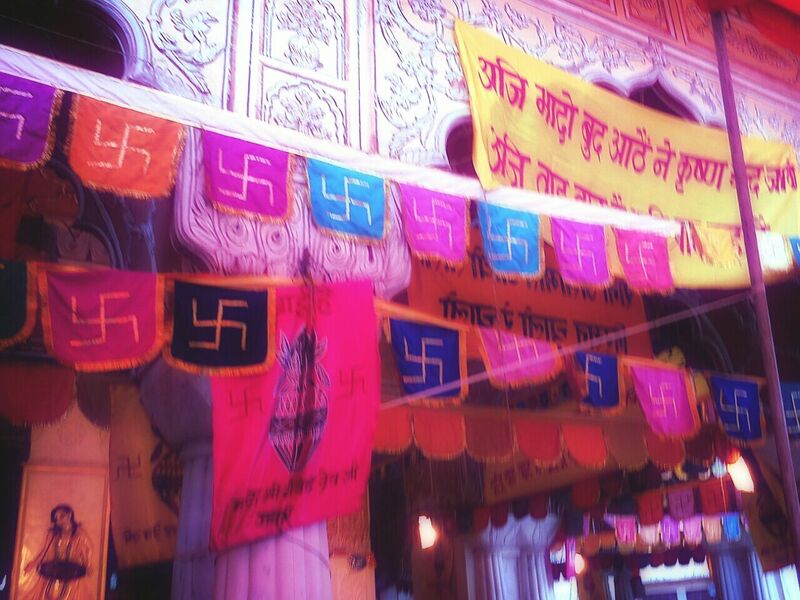 This festival is celebrated with tremendous joy in all the temples offering a feast to the Lord worldwide but the core or focal point of this extravagant gathering lies amidst the Walled City of Jaipur in the premises of Govind Devji Temple between 4:00 am in the morning till 10:30 at night. The other temples which we cannot forget to mention are Radha Rasbihari Temple, the famous Iskon Temple, Akshardham Temple; they also shine in their own beauty on this special occasion. So, enjoy the festival with hymning some beautiful devotional phrases which float in the air with great enthusiasm, along with enjoying the lavish feast as we remember the Maakhan Chor! As per Hindu mythology, Lord Krishna had lifted the Govardhan parvat (mountain) on his finger to protect the people of Mathura village from heavy rain. Lord Krishna can be seen in the same form, holding the parvat on one finger and playing flute with his other hand, as an idol at the Shrinathji temple, Nathdwara, Rajasthan. This temple is dedicated to Lord Krishna, so it is also known as the haveli of Lord Krishna. 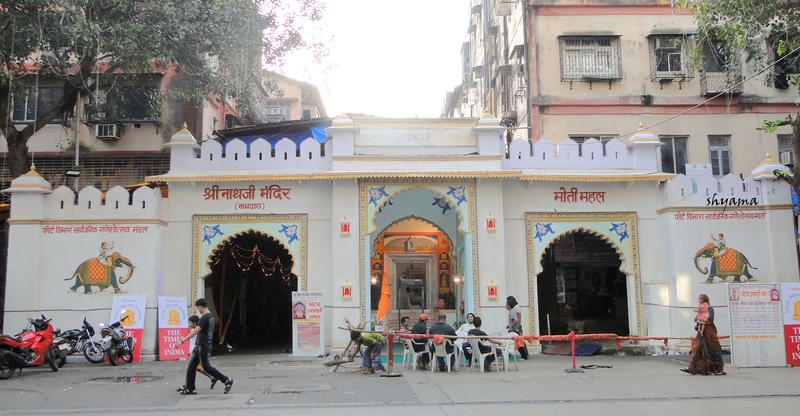 The Shrinathji temple also houses the idol of Shrinathji, who was an incarnation of Lord Krishna in 14th century. The same idol was initially worshiped at Mathura but it was brought to Nathdwara as Mughal ruler Aurangzeb, was destructing Hindu idols. Nathdwara is a small town located at a distance of 48 km from Udaipur. After this deity, Nathdwara also became famous by the name of ‘Shrinathji’. Legends say that the idol of Lord Krishna when being transferred from Vrindavan to a safer place, then at the same place where the temple is located today, the wheels of the bullock cart carrying the idol got struck in mud. It was not moving further. After seeing this, the accompanying priest realized that this is the chosen place by the Lord himself. So, the temple was constructed on that very place. Opening hours of the temple are from 4-5 am till 6 pm. Whether it is a weekday or weekend, the Shrinathji temple is always crowded and full of devotees. But the ideal time to visit this temple is early morning. 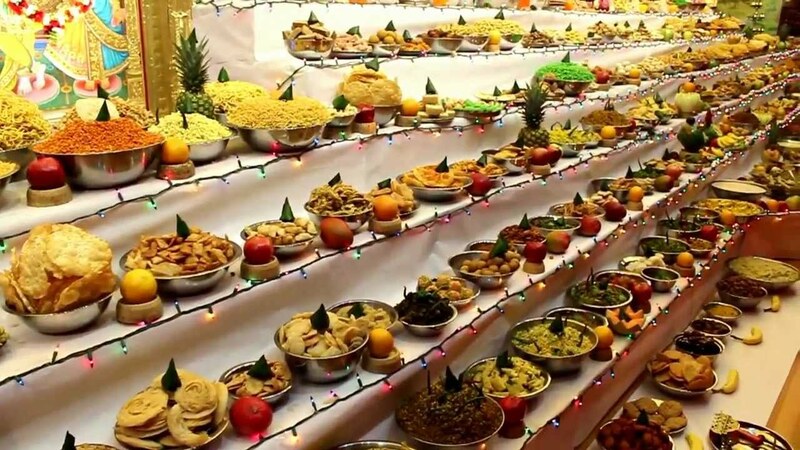 The ‘chappanbhog’ aarti is one of its kinds at the temple in which 56 kinds of different food are offered to the Lord and after this these are distributed as prasad. Boondi ladoos and mohanthal are the most popular food items. 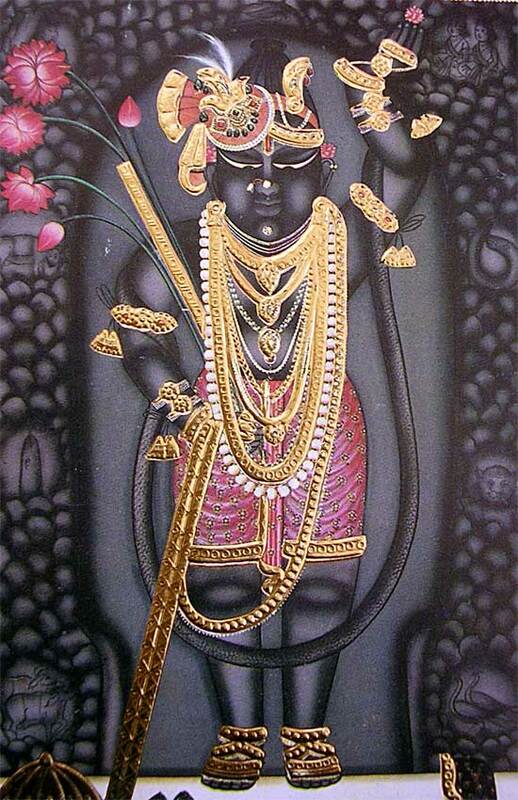 The Shrinathji temple is the prime attraction of Nathdwara. But Nathdwara is also famous for many other things such as milk-made sweets, handmade terracotta and ‘pichhwai’ paintings. 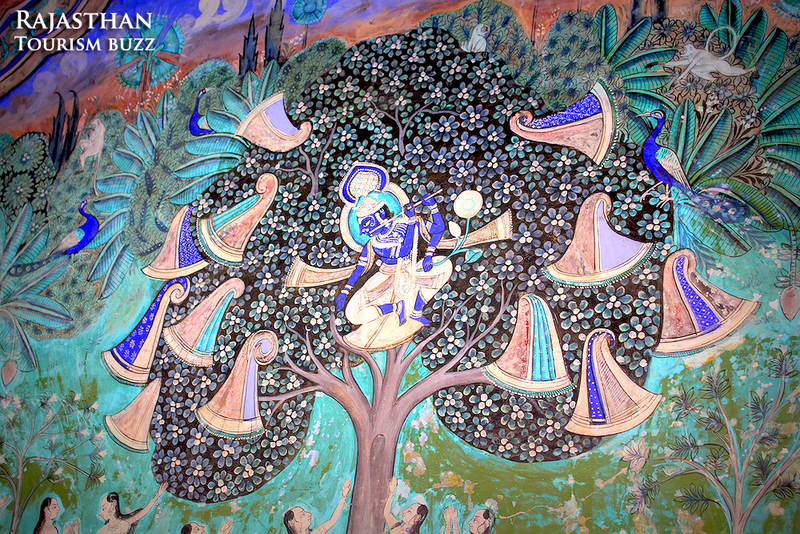 In Pichwai painting legends from the life of Lord Krishna is shown on a large piece of cloth. 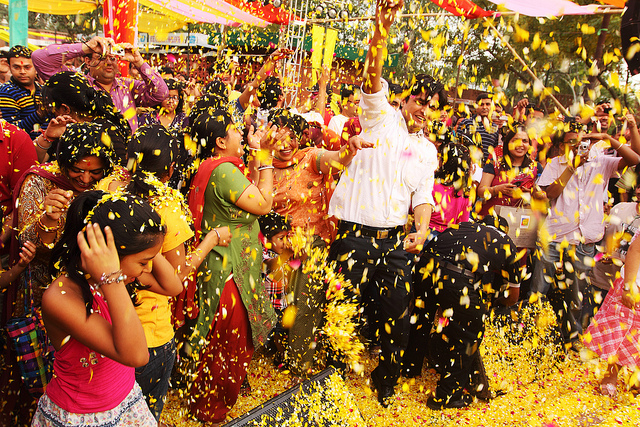 All the festivals related to Lord Krishna such as Janmashtmi and Holi are celebrated with great fervor at Nathdwara. 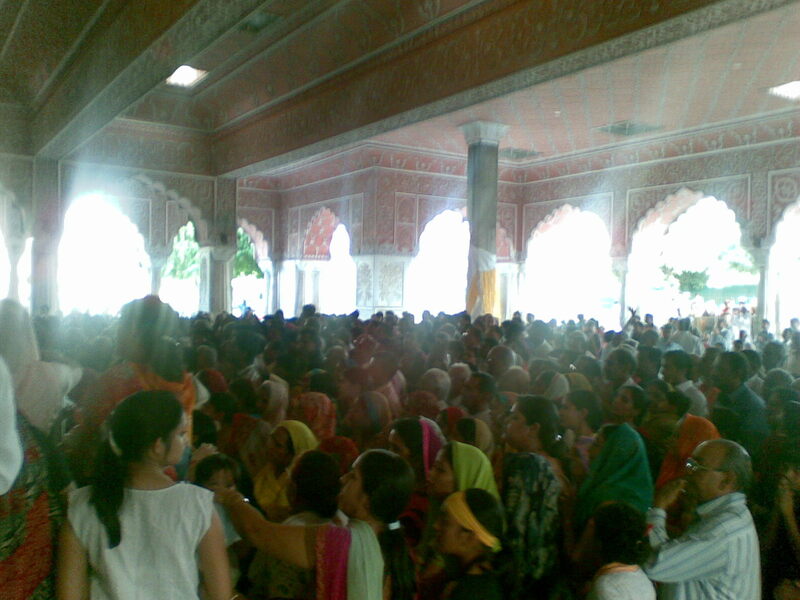 There is another festival known as Annakutta that is very popular at Nathdwara. This festival is connected with Lord Krishna and his lifting of the Govardhana parbat. Annakutta is celebrated inside the temple. 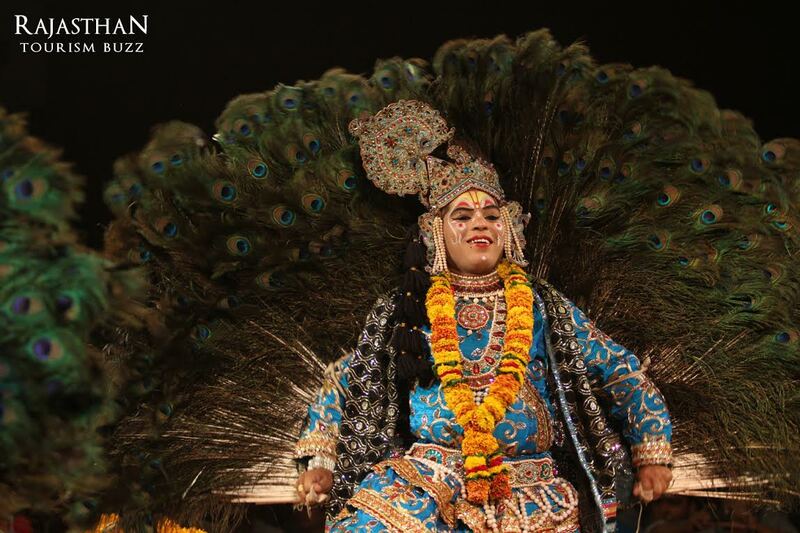 With the harmonious tunes of Shehnai and the bass of drums, Janmashtami festival kicked off in Jaipur. Krishna Janmashtami marks the birth of Krishna, the most highly venerated God in the Hindu pantheon. The popular Hindu festival, Janmashtami is a festival of joy and is celebrated with great zeal and enthusiasm by the Hindu people. According to the legendary tale, Lord Krishna is presumed to have made his divine appearance at midnight, in the 28th year of Dwapur Yug. Janmashtami is celebrated with tremendous fervor in Jaipur and the epicenter for these celebrations is the popular Govind Devji Temple in City Palace premises. 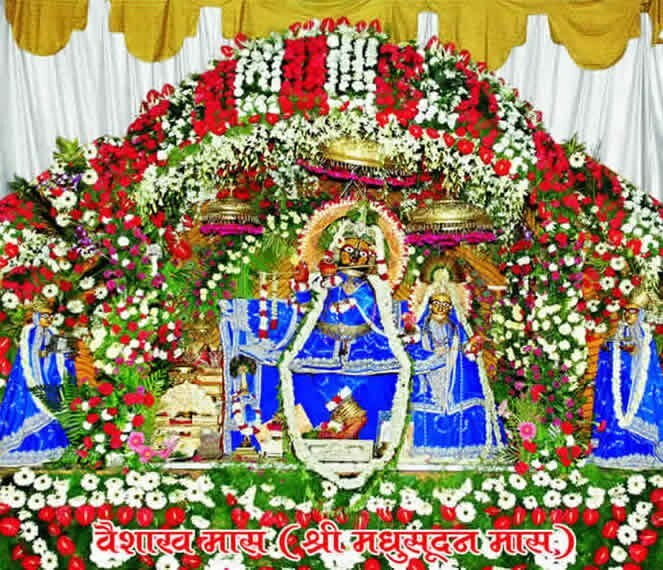 From now on, till Janmashtami, the 28th August, 2013, the idols of Radha Govind ji will be placed in a specially decorated swing and the temple would explode with colors and energy. Thousands of worshipers will multitude the temple and celebrate the festival with an outpouring of poetry, ecstatic music and dance in both classical and common languages amid the soothing sound of temple bells. Till August28, 2013 temple will follow new time schedule. According to this Gwal Jhanki will be open at 5.45 pm, Sandhya Jhanki at 6.30 pm and Shayan Jhanki at 9.30 pm. Be a part of the celebration and get engrossed in the melodious ambiance of Janmashtami celebration at Govind Dev ji Temple in Jaipur. With the harmonious tunes of Shehnai and the bass of drums, Janmashtami festival kicked off in Jaipur on Wednesday July25, 2012. Krishna Janmashtami is celebrated with tremendous fervor in Jaipur and the epicenter for these celebrations is the popular Govind Devji Temple in City Palace premises. 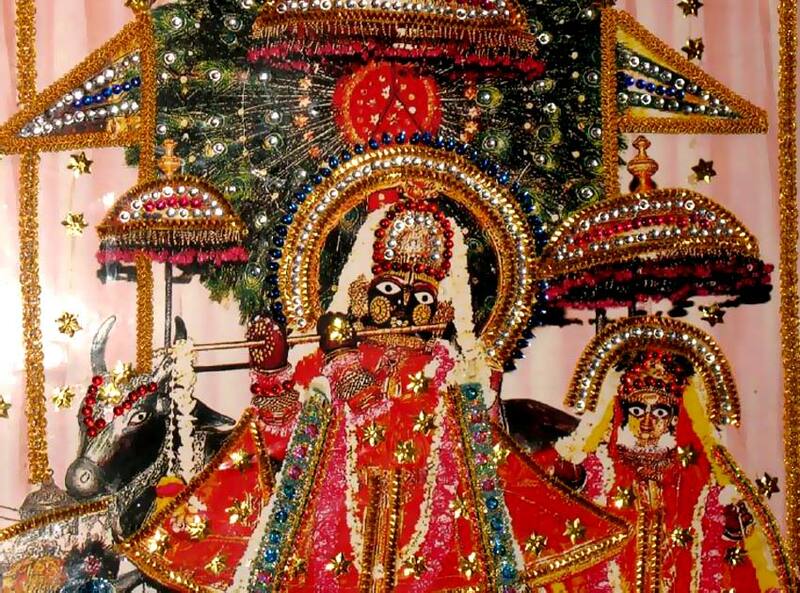 From now on, till Janmashtami, the idols of Radha Govind ji will be placed in a specially decorated swing and the temple would explode with colors and energy. Till August09, 2012 temple will follow new time schedule. According to this Gwal Jhanki will be open at 5.45 pm, Sandhya Jhanki at 6.30 pm and Shayan Jhanki at 9.30 pm.